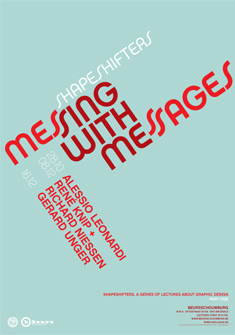 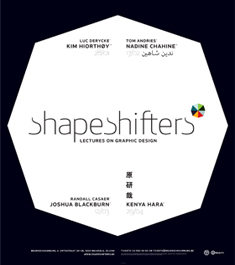 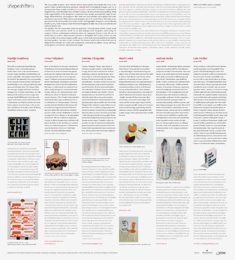 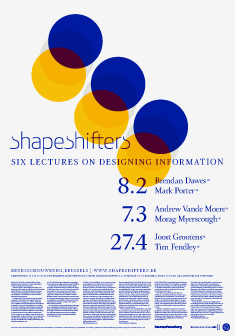 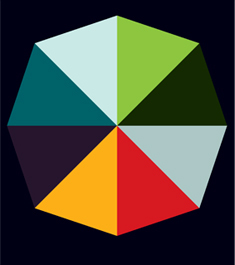 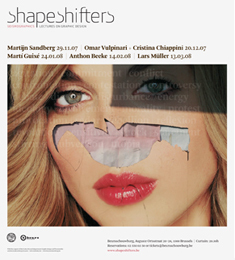 Shapeshifters is meant to be an interactive research platform and an open forum which should stimulate creative thinking and debate on the future of graphic design and of visual culture in general. 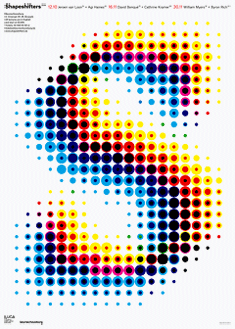 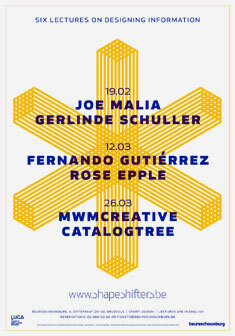 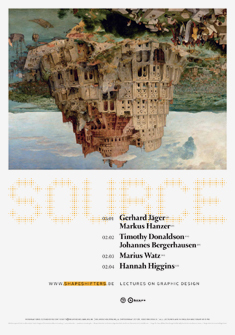 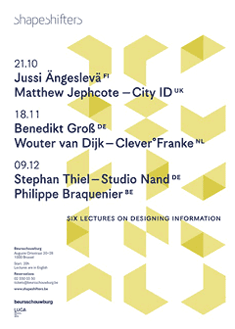 A yearly series of lectures is devoted to a different theme with every new season. 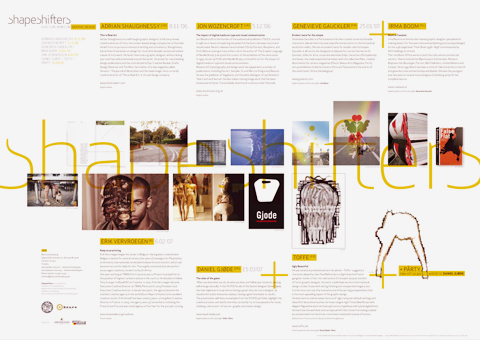 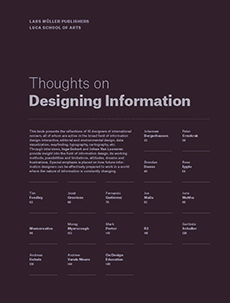 The most diverse aspects of visual design are taken into consideration – attracting a broad public of professionals and design enthusiasts, from all kinds of disciplines. 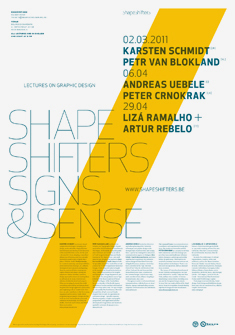 The initiative was founded by teachers from the Graphic Design department and Transmedia at LUCA School of Arts, campus Sint-Lukas Brussels. 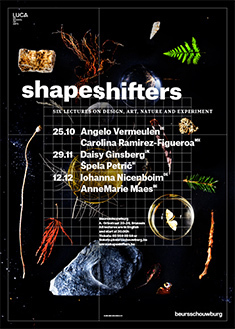 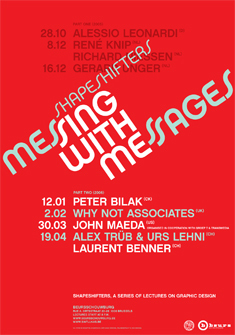 The lectures are organised in collaboration with the Beursschouwburg, that hosts and co-produces the lecture series, at the heart of Brussels.